The Christian Orthodox Church goes back to the Apostles. For the first 1000 years after Christ, there was one Christian Church. Then, in 1054, there was the Great Schism and Rome (not the empire, but the Church of Rome and those churches under its Bishop’s authority) left changing existing doctrine and making new doctrine. But the rest of the original Church adhered to the original doctrine and the original Seven Councils. 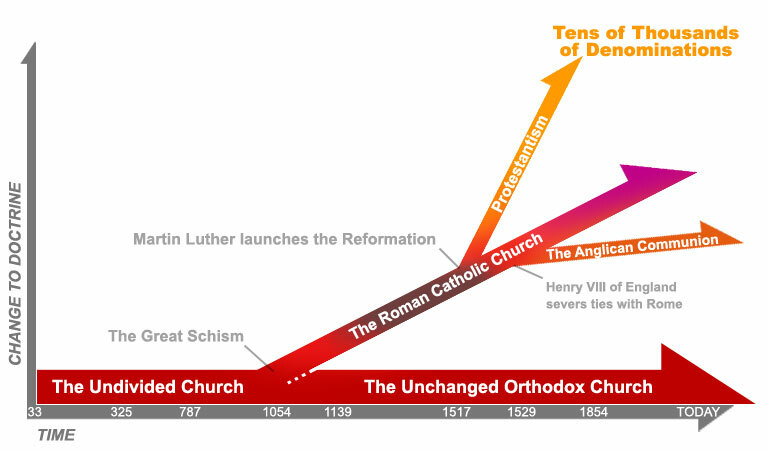 There was no reformation for the Orthodox Church because the faith was not changed. For doctrine to be established in the Orthodox Church, the whole Church would have to agree, not just one man i. e. the Pope. As a result, the Orthodox Church has held true to the teachings and traditions of the Apostles and the Church Fathers. We are here and ready to welcome you and help you with your journey back to the original Christian Church.